You have been preparing for Diwali for over a month probably. You made an extensive list of things that you will need to deck up your home. You had the perfect Diwali decor ideas too. But somehow, shopping for these couldn’t materialise. And now you are in a fix as Diwali is already here. Relax! First things first. Traditional door hangings called torans, placed at the entrance of the house, create a festive mood. Instead of spending money on the plastic hangings the market is flooded with, you can get your creative juices flowing and create colourful torans easily with recyclable materials such as cardboard, handmade paper, waste ornaments etc. in your home. 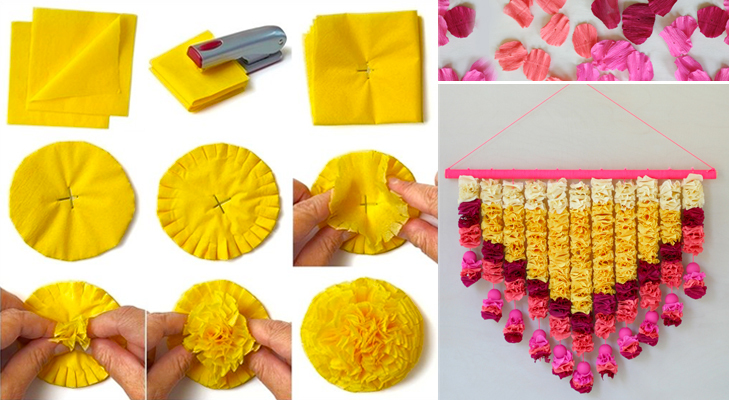 All you have to do is cut them in interesting shapes and tie them together on a string. So you spend hours to create the perfect rangoli at your doorstep, but someone accidentally steps on it and the whole thing gets spoilt. Sounds like a tragedy, doesn’t it? This year, you can prevent such a thing from happening by painting a beautiful rangoli on cardboard or thermocol, and cut it out in the desired shape. If you have any colourful beads or sequins lying around, you can use them to decorate your design. 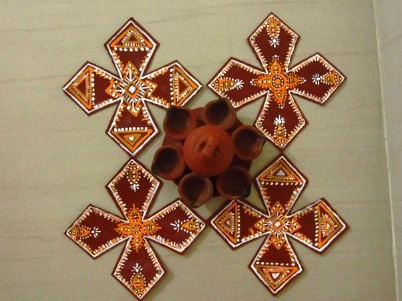 The biggest advantage of this type of rangoli is that it can be used again and again, and is portable. Who knew Diwali decor could be this awesome?! The festival of lights cannot be complete without some candles. All your trips to Goa were not just for fun, they can be useful too. If you have some sea shells that you collected at the beaches, you can turn them into beautiful candles to add a quirky touch to your Diwali this year. 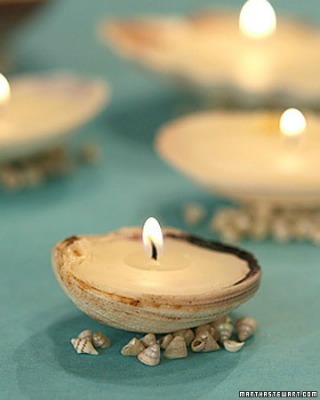 Simply set the candle wicks in the shells, then add melted wax to it. Once the wax has cooled and set, you can light your candles and enjoy. If you’re not too sure about it, look for tutorial videos on YouTube. Other ingredients which can be used to make candles are salt dough, egg shells, bottle caps, shot glasses, or even orange peels. 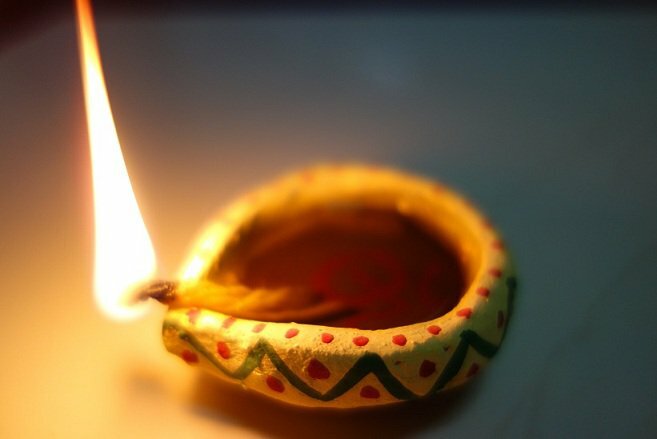 Diwali without diyas is unimaginable. Even though you can get beautiful, painted diyas in the market, but making them on your own has its own charm. You can buy some new, plain diyas from the market and paint them with your choice of colours, or simply add embellishments. Or, you can make them from scratch using clay and aata dough. Bake them to get the earthen brown colour, or paint them. Keep them all around the house and light up the lamp of hope and prosperity at home. Wouldn’t it be awesome if you could light up your home as well as make it smell heavenly? All you need are unscented candles, cinnamon sticks and some rope or thread. 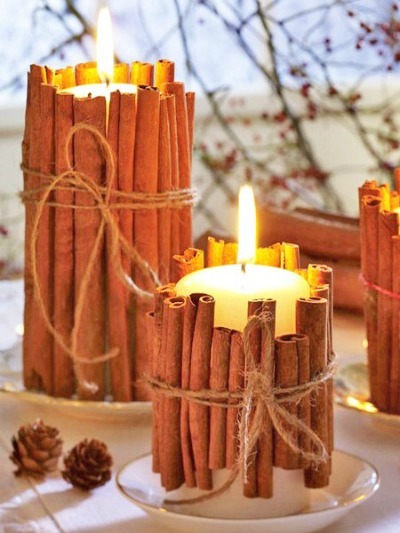 Place the cinnamon sticks next to each other around the candle, and tie them up with the rope. In case you don’t like the flavour of cinnamon, you can fill up a bowl with coffee beans, and place a candle in the middle. This idea will surely be will be the highlight of your Diwali decor this year. 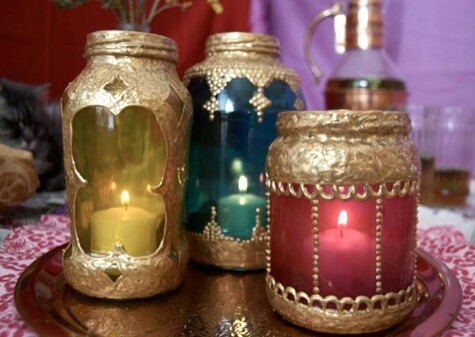 Upcycle glass jars into rustic lanterns to hold candles or tea lights. Make sure the jars are washed and dried before you start painting them. You can also use glitters, metallic paints, and colourful embellishments. 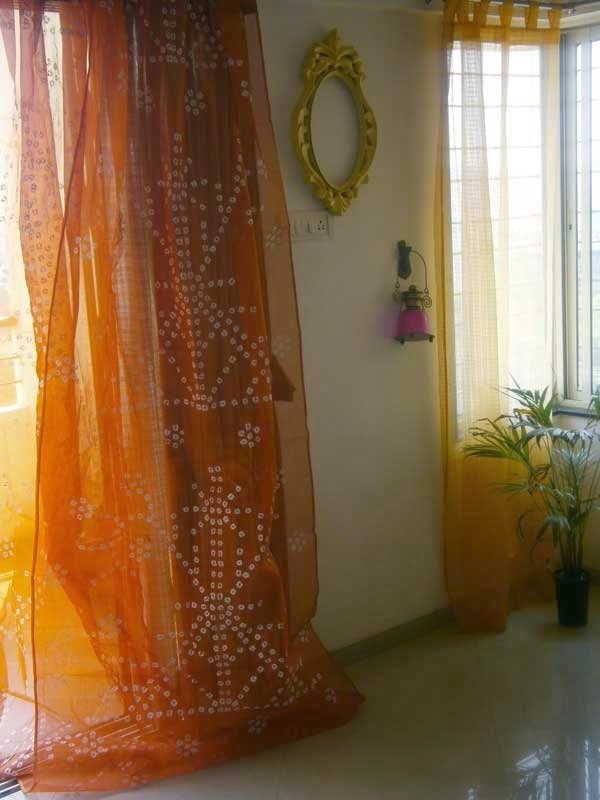 If you have old georgette sarees or dupattas in your cupboard, which you no longer wear, you can use them as colourful drapes for your home. If you want, sew on some sparkly buttons and beads on them to add that glitz to your Diwali decor. Now that you’ve brightened up your home, it’s time to deck up the thali for the Puja. 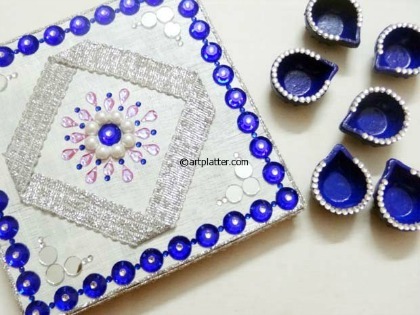 You can use a wooden or plastic plate and decorate it with lace, beads, kundans, zari, etc. You can also cut out strips from old wedding cards and paste them on the plate, or paint them with colourful metallic colours. Here’s a request from team Wonder Wardrobes- spare a thought for our furry little friends, please avoid using crackers. This entry was posted in Create the Look and tagged decoration, diwali, DIY, festive season, upcycle.